As part of our 2nd International Mayo Clinic Healthcare & Social Media Summit in Melbourne, Australia we're also holding Short Film Festival. All of the videos have been tweeted using the #MayoInOzFilmFest hashtag. Voting is open until 8 a.m. AEDT Wednesday, 16 November (4 p.m. EST Tuesday, Nov. 15 in the U.S.); watch the videos and cast your votes by liking or retweeting the posts that include the videos. Scroll through the list of videos, and either like or retweet your favorites. That's it! 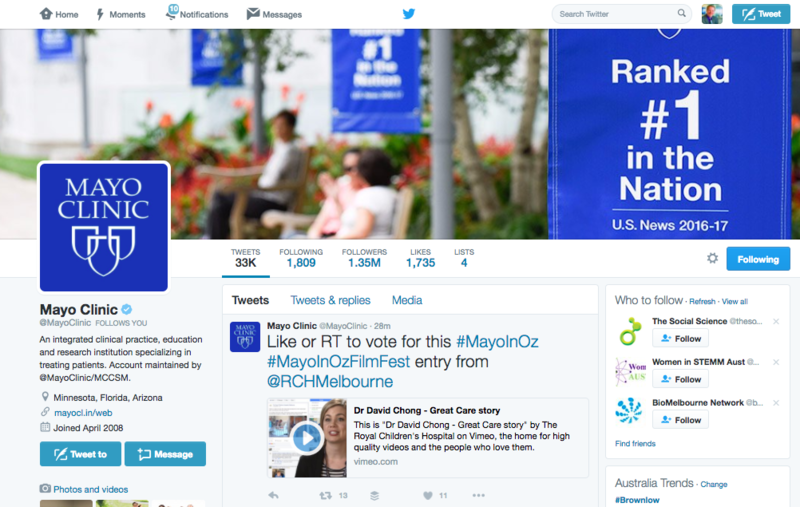 We'll identify the top three videos Wednesday morning at #MayoInOz based on total likes and retweets.